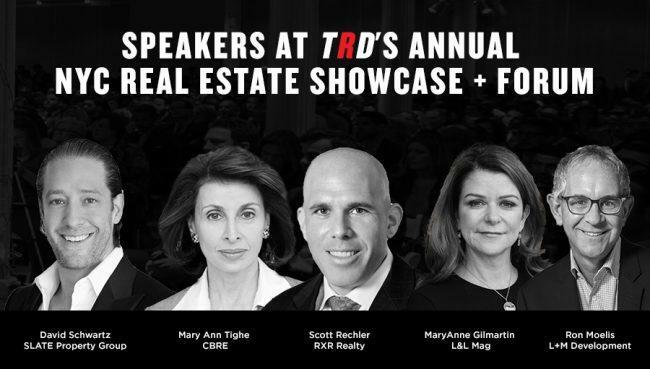 The Real Deal’s 12th annual NYC Real Estate Showcase and Forum is shaping up to be one of our biggest and most exciting events yet. Mark your calendars for May 15 and join us at the Metropolitan Pavilion for a full day of programming, networking and deal making. Our 4,500+ attendees will get access to a dynamic lineup of industry leaders that will give you insights you need to stay on top of the industry’s trends and grow your business. Some of the experts just announced to be panelists are Ron Moelis, L+M Development; David Schwartz, Slate Property Group; Mary Ann Tighe, CBRE; Scott Rechler, RXR Realty; MaryAnn Gilmartin, L&L Mag; Larry Silverstein, Silverstein Properties; Zach Aarons, MetaProp, and Vishaan Chakrabarti, PAU. With a powerhouse lineup like this, sponsor opportunities and tickets are sure to fill up quick!